The beef tenderloin is the most tender and expensive cut on the entire steer. You can save yourself some serious money by trimming it yourself at home! 1. Remove the side chain. The side chain is that grizzly piece that runs the length of the tenderloin and is about a ½ inch in diameter. To remove it, simply grab it on the small or tapered end and give it a tug. It should separate pretty easily; you may need to use your knife to totally remove it. 2. 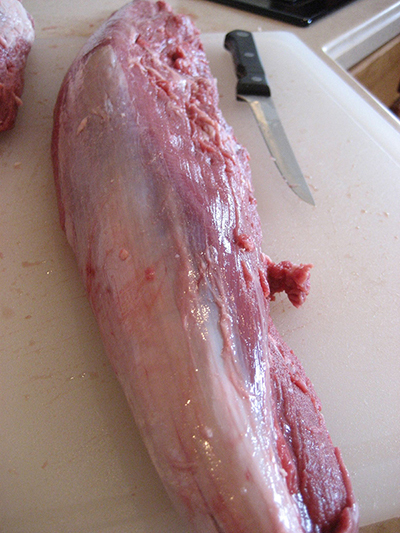 Remove any heavy or dangling fat on all sides of the tenderloin. 3. Next, remove the “silver skin” which is a sinewy membrane on the outer side of the larger end. 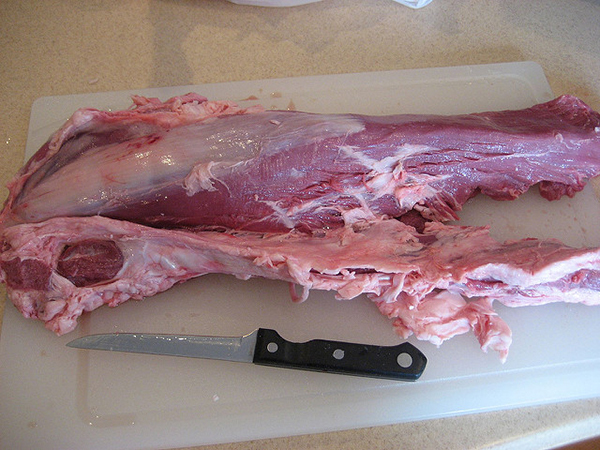 Insert the tip of your boning knife under the silver skin about two inches from the end and cut. Lift up on the piece of silver skin, gently slide your knife along the under side of the skin toward the small end. Repeat this until all of the silver skin is off. 4. Finally, tie the tenderloin to make it a consistent size throughout. The best way to make it more uniform for even cooking is to butterfly cut the tail end about three or four inches from the end then flip it under. 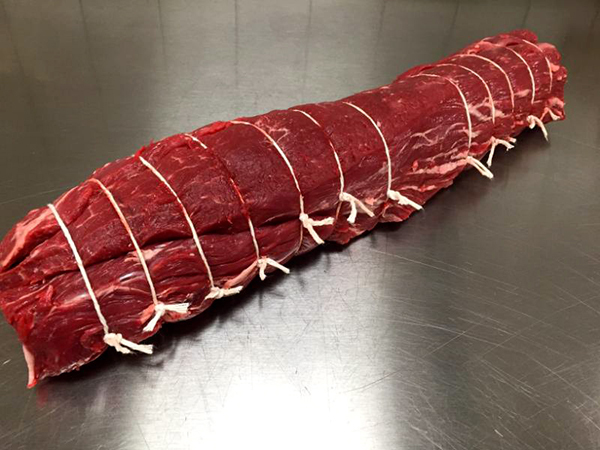 Tie the entire beef tenderloin with butchers twine about every inch and a half to two inches. Now you tenderloin is ready for the grill! !